This is the most funny of all my travel stories. The truth is: I have been in Iceland 3 times, always in the middle of the freeking Icelandic winter and I have never managed to see the Northern Lights! Never. Not even a glimpse, a green spot, a stain in the sky that could have given me the illusion to have seen it once. Nothing. Not even for a second. In 3 years! When people ask me why I keep going North, to Iceland, in the cold winter when I should rather try to go South for once, my answer is only one: “ to see the Northern Lights!”. On the truck across Africa with the Vikings, this story of the Northern Lights had become one of our favourite subjects to laugh about. 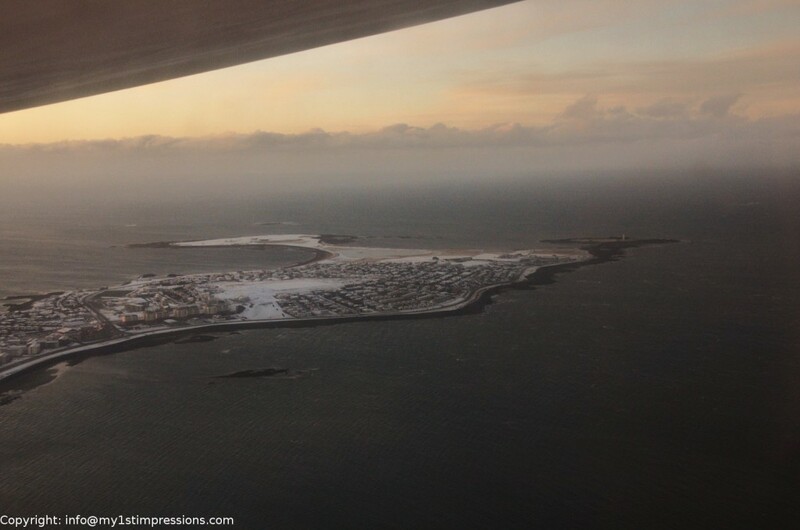 Icelanders didn’t believe that it could be possible. Yeah! Until they met me! Ahah! The funny thing about my Northern Lights story is that, before every trip to Iceland, I have spent days talking about it with everybody. Sometimes it happened that some friends didn’t even know what it was, and then I showed them videos and pictures from the net, telling them I was going to see the same up there. It happened a couple of times I even managed to convince them to go themselves, have a trip in Iceland and go to hunt them. The result? 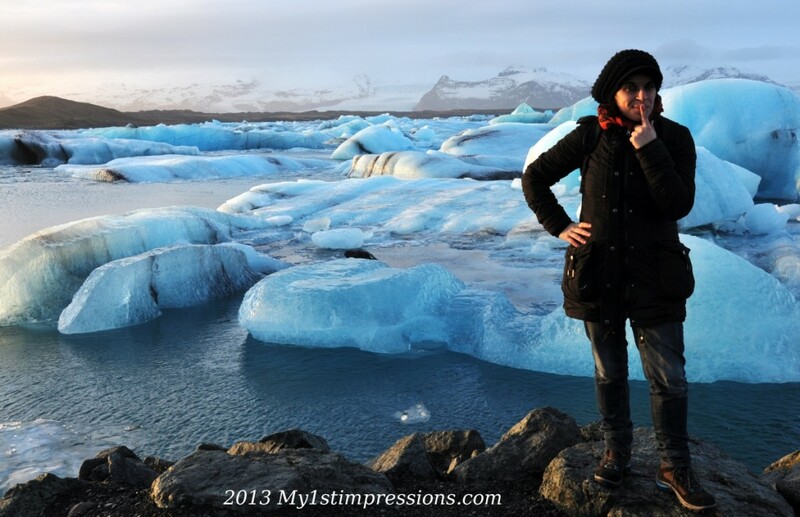 They went, they saw, they came back, describing it as the easiest of all the activities to do in Iceland! I went 3 times, instead, and never saw anything! 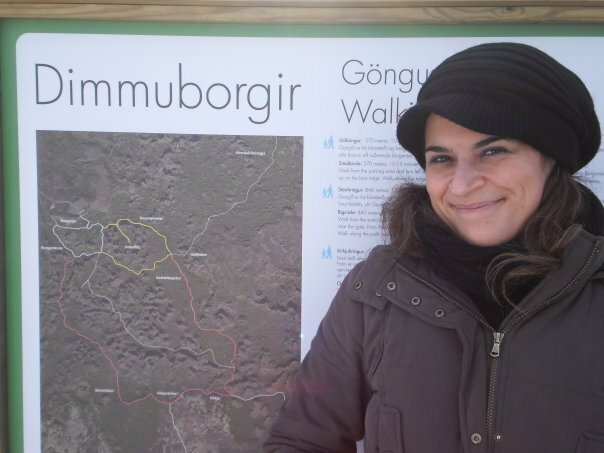 Everytime I came back from Iceland, I had to face the reality and give an answer to the question everybody was waiting to ask: “And? Did you see them?”. 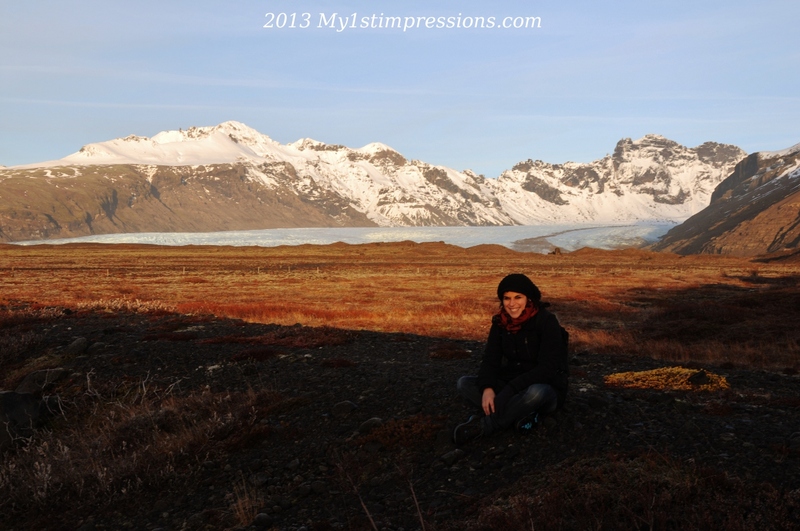 My 1st time in Iceland. Unforgettable. It was March, I had been waiting and dreaming of it all winter and finally the time came for me to see Iceland for the first time. Everybody said the possibilities to see the Northern Lights were still good! 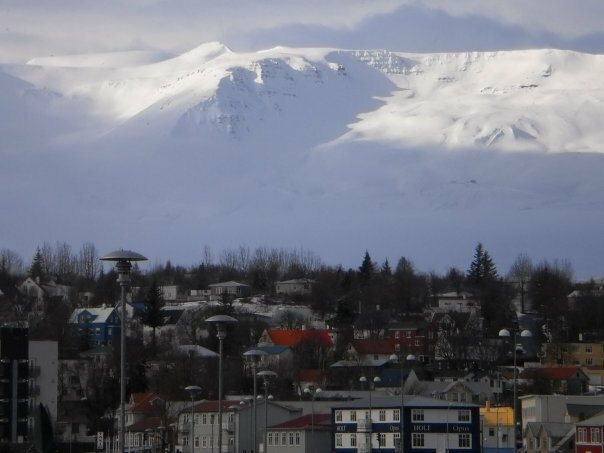 As in Reykjavik I didn’t see anything, I decided to go to Akureyri, where, I thought, maybe there are not so many clouds and it is easier. Result of this thought: I got stacked there for 4 days as there were no ways to go back to Reykjavik or to anywhere else. It was freezing, it was boring and I even didn’t see the Northern Lights!. When I finally managed to leave, I came back in the capital and gave myself another chance. 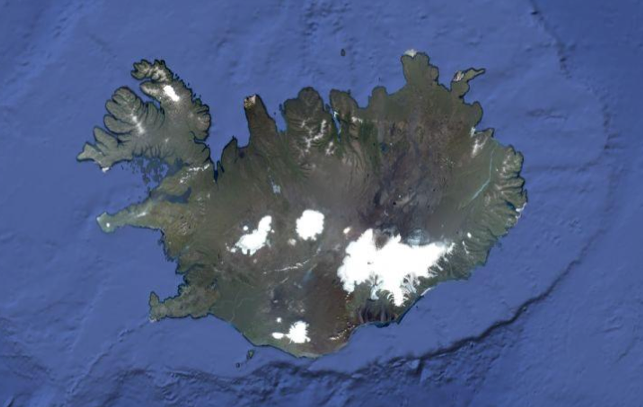 Let’s go to those islands in the South, Vestmanneroyar (yes, you read it right! I had the same face when I saw the name on the map for the first time). The sea that day was really rough….but really rough. When I went out of the boat I saw at least I was not the only tourist on the island. No. We were 5 in total! An American guy, a Swedish photographer, a German girl, me and a Norwegian fisherman who came there to learn the fishing techniques of Icelanders, as, he said, they were better than the Norwegian ones. We all stayed in the same hostel and on the second night there, when he came back from the sea, the fisherman said that night was good for Northern light, as the sky was very clear. So, full of enthusiasm I went to sit outside looking at the sky, so excited thinking that that could be my night. Well…it wasn’t. I waited until 2 before feeling fully frozen, before declaring my night a failure! One year and a half later I decided it was time to try again. This time at the beginning of winter rather than at the end. Everybody said it was wise. I was sure it was impossible to fail. In my plans I had in mind to go up to Isafjordur, in the North West of Iceland, to hunt the Northern Lights. They cancelled my flight to Isafjordur for two days in a row, due to a snow storm that didn’t promise anything good for the upcoming days. On the third day, finally the airport in Isafjordur reopened and, full of new hopes, I flew up there. I will tell you in another post about the beauty of that place that remains one of my favourites not only of Iceland but of the Planet, but, back to the Northern Lights, as you can imagine, that was not the best week to be in Isafjurdur in general, and especially to be in Isafjordur for the Northern lights. Infact, I didn’t see anything. The last night I was there I went for a tour with a lady by car. She said it was almost impossible to see the Lights that night as it was cloudy but she said she was gonna bring me on the top of a mountain and there we could see what the situation was. I was excited even if I knew the possibilities were low. 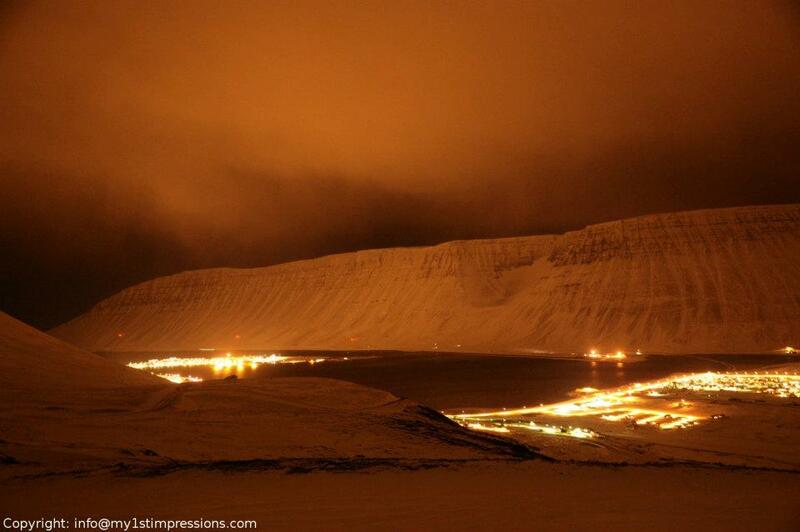 We went on the top of the mountain, we step out of the car and the most beautiful landscape appeared in front of me: the entire fjord under my eyes, in the orange light of the snow, with Isafjordur shining in the middle. No sign of Northern Lights, though. However the sky was full of clouds, and they were so heavy and grey that I never saw anything like that before. “Is that the beginning of the Northern lights?”, I asked the lady. “No, that’s the beginning of a snow storm. We rather go back in town”, she replied, killing all my hopes. This one was not planned but, but as the trip in Africa was starting from Reykjavik, I thought what a better occasion to try one more time and finally see the Northern Lights! Everything was perfect. Inga, from TinyIceland.com had planned for me a Northern Light tour for the night I arrived in town. However, none of us knew that that night was meant to be the most windy, cloudy, rainy night of the year. When I went out of the airport, it was so windy that I couldn’t walk with my heavy backpack on my back. It was impossible to arrive to the bus, I coudn’t even make one step. The wind and the rain were devastating my dream! 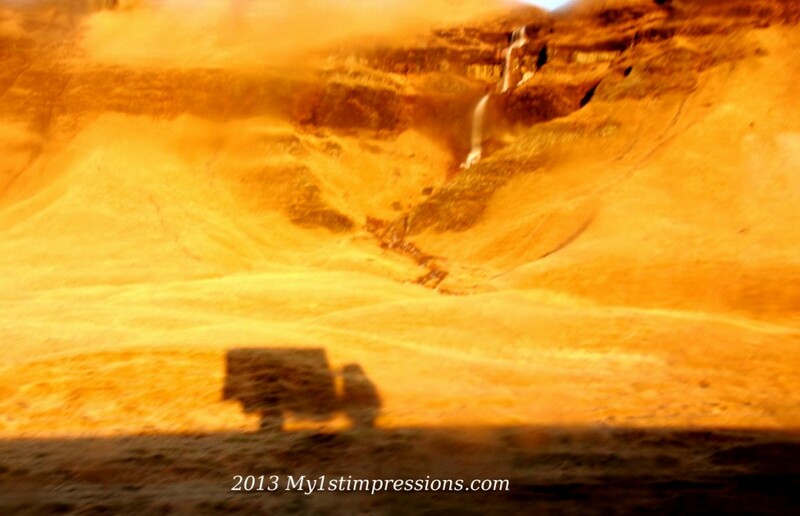 I didn’t lose my hope as, I though, I still had few more days in Iceland before taking the boat to Far Oer. Well, I was wrong! I didn’t see anything at all, neither there, nor at the far Oer and so it happened that this story became my travel story! I don’t know if this is a case, the destiny, th bad luck or maybe simply an excuse for me to have a good reason to come back there again and again. Questo è il più divertente di tutti i miei racconti di viaggio. La verità è che: sono stata 3 volte in Islanda, sempre in pieno inverno, e non sono mai riuscita a vedere l’Aurora Boreale. Mai. Neanche uno scorcio, una bagliore verdastro, una macchia nel cielo tale da poter almeno illudermi. Niente. Neanche per un secondo. 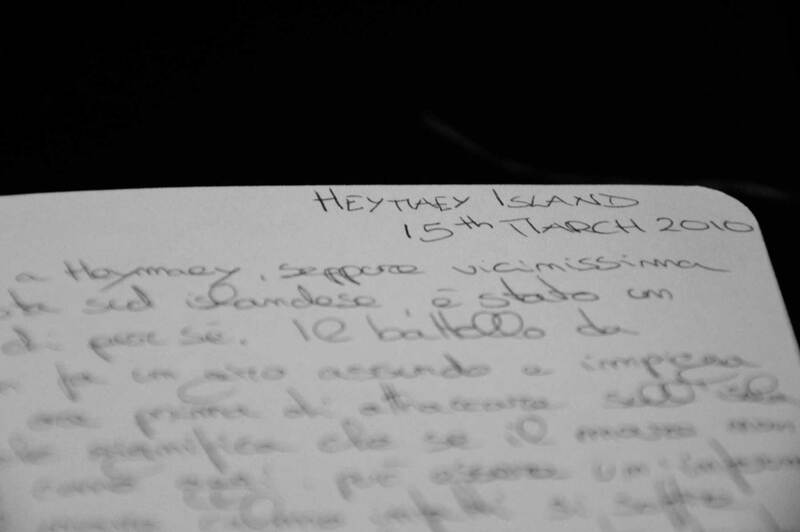 In tre anni. Quando la gente mi chiede perché continuo ad andare a Nord, in Islanda, d’inverno invece che optare per destinazioni più calde, la risposta è sempre e solo una: “ Per vedere l’Aurora Boreale”. Sul camion per l’Africa, questa storia dell’Aurora Boreale era diventata il pretesto più comune per farci grosse risate. Gli islandesi non credevano fosse possibile. Si, fino a quando hanno conosciuto me. Ahaha! Un’altra cosa divertente di questa storia sull’Aurora Boreale è che ogni volta che devo andare in Islanda passo giornate intere a parlarne con tutti. A volte è capitato che alcuni amici non sapessero neanche cosa fosse ed io là a mostrare video e foto da internet, sicura che finalmente sarebbe toccato a me. Un paio di volte è capitato persino che ho convinto alcuni amici ad andare loro stessi in Islanda a caccia di Aurore. Il risultato? Sono andati, hanno visto, sono tornati, descrivendola come la più facile delle attività da fare sull’isola. Io ci sono andata 3 volte invece, e non ho ma visto niente! Ogni volta che torno dall’Islanda, devo guardare in faccia la realtà e rispondere alla più difficile e ovvia di tutte le domande: “ E Allora? L’hai vista?”. Negli ultimi 3 anni ho seguito tutte le pagine dedicate all’Islanda e all’Aurora Boreale, ho controllato tutti i siti e ho persino scaricato le application per le previsioni dell’Aurora. E cosa succede? Succede che nel 2014, il primo anno degli ultimi 4 in cui non decido di provarci, dicono sarà l’anno più spettacolare per le Aurore d’Islanda. Ovviamente! Fino a quando, però, non decido di farci un pensierino di nuovo!